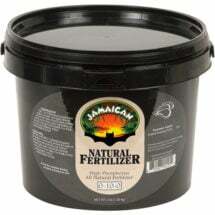 An excellent source of phosphorus (7%) and calcium! 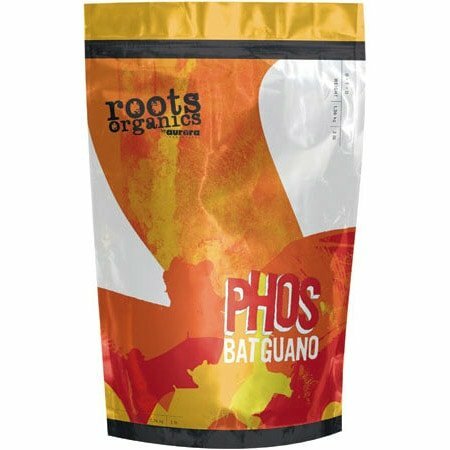 Roots Organics Phos Bat Guano will encourage vigorous flowering and fruiting in your garden and has been carefully processed and sifted to make it easy to work with. All Roots Organics products have been carefully sourced for quality and harvested using earth-friendly methods — so you and your garden get performance with principles! 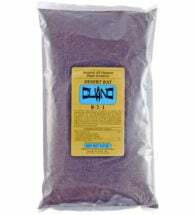 Available in 3 lb and 55 lb bags. 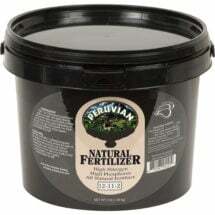 Light Feeding – Mix 1 tsp per gallon of soil. Heavy Feeding – Mix 1 tbsp per gallon of soil. Liquid Application: Add 2-4 tbsp Phos Bat Guano per gallon of water and let brew for 24 to 48 hours. Water direct into soil. Vegetable Gardens & Flower Beds: Apply 4-8 lbs per 100 square feet and mix into soil.